The battle of Endor is on the forest moon, which orbited the planet. The second Death Star orbited the moon, thanks to the Imperial base placed on the forest area. 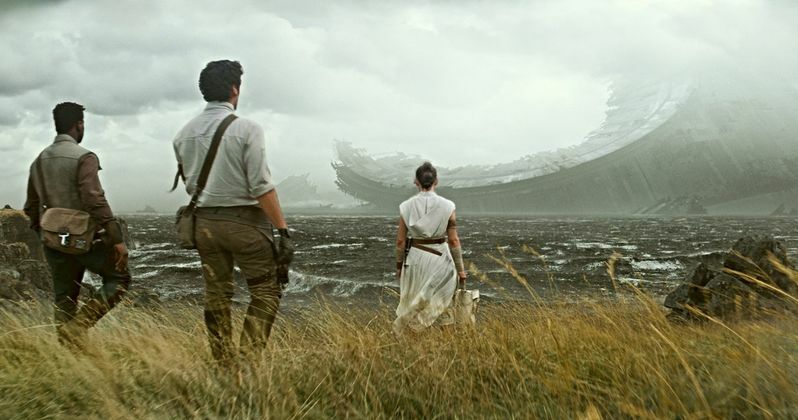 After all of these years, we may finally see Endor in The Rise of Skywalker, which from the looks of things, has seen better days. If this is the case, one would have to wonder why the explosion didn't wipe out the forest moon of Endor and all of the Ewoks. Kylo Ren would have surely had to visit the moon to retrieve the charred helmet of Darth Vader. Chuck Wendig's 2015 novel Aftermath: Life Debt revealed some of the Ewoks had offered their services as therapy creatures to help war heroes, so they are all very much alive and did not get scorched when the Death Star exploded, despite claims by scientists declaring the explosion would have been an Ewok Holocaust. This obviously doesn't mean we are going to definitely see Ewoks in The Rise of Skywalker, but it wouldn't be too surprising if we did, maybe as Rey and crew fly down to Endor in passing.